Whenever I mess around with power rankings I feel dirty. My numbers are based on a model though. I like to think they they are less arbitrary then anyone else's "gut" feeling. Maybe not. In either case, they can't be worse then Bleacher Report. Talk about feeling dirty after reading something. - Columbus is falling (also the name of my next movie). Due in large part to non-existent forward play. The Crew have made changes whilst out west. Home this Saturday. Goals are coming for the Canaries. They do not have the worst scoring offense in the league as the table so embarrassingly points out. 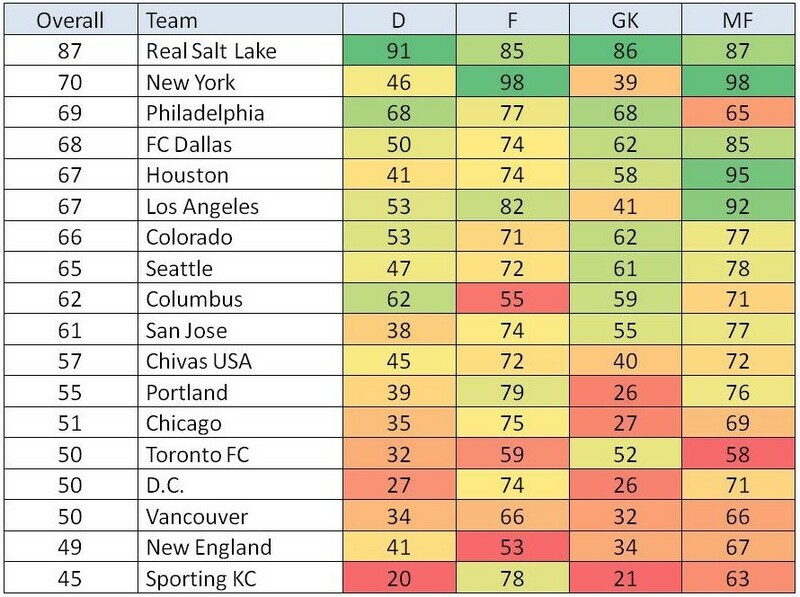 - Philly hanging in, but the gap betwixt them and Power Ranking favorite around the intercomputersnets LA Galaxy is not statistically significant. - Checking when Salt Lake plays next. Mercifully, they are on at 9 PM EST. And doubly mercifulicous is that no eastern time zone team has to play after summerducking 1 ducking A. to the ducking M. this week. - Houston is playing LA late tonight, should be a good game and help everybody sort out the LA GALAXIAN best team in the league thing. Maybe they are but Billy is pulling for Houston. - Matt Bernhardt has the best power ranking out there. Hey, we both have Cbus 9th. Still digging at his method. Portland? Hmmm. Good stuff.